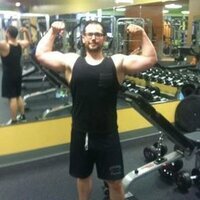 Cellucor C4 Ultimate at Bodybuilding.com - Best Prices on C4 Ultimate! A university-studied form of creatine formed when creatine is bonded with nitrate anions. On the individual level, Creatine and nitrate are powerhouse elements, but when fused together, they create an unstoppable bond. We're obsessed with research, improvement, and results. We're innovators and leaders, and we're not new to our work. We have a legacy of building the best, most effective pre-workouts available. No matter how big the scoop size or how revolutionary it claims to be, a great pre-workout starts with best-in-class ingredients used in effective doses. Since ingredients are not created equal, patented ingredients are important for multiple reasons, particularly because they're backed by quality manufacturers who rigorously test and research their products to ensure efficacy and safety. Creating the perfect pre-workout for people who demand nothing less than the best from themselves and their supplements has been no easy task. It's taken us years of work, the best ingredients from around the globe, and a consistent commitment to innovation, formulation, and product development. 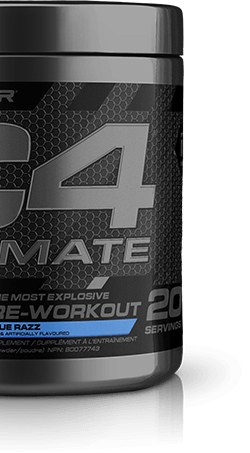 Every tub of C4 Ultimate is the result of rigorous testing and research to ensure you get the highest-quality product possible, without compromise. We put every flavor of C4 through 100s of flavor tests. Seriously. And we don't settle. If a flavor doesn't measure up, we move on. We're dedicated to making the industry's best-tasting products, and nothing less will do. Our in-house product development team has years of research and expertise, and a true passion for sports nutrition. We don't rely on a single person's opinion to build product. We have a team of world-class formulators who evaluate, debate, and discuss the latest research before we even put a formula down on paper. Add our incredible relationships with the world's best ingredient manufacturers, internal testing, athlete feedback, and years of leading the industry, and you get a development process that's second to none. We're committed to your results. 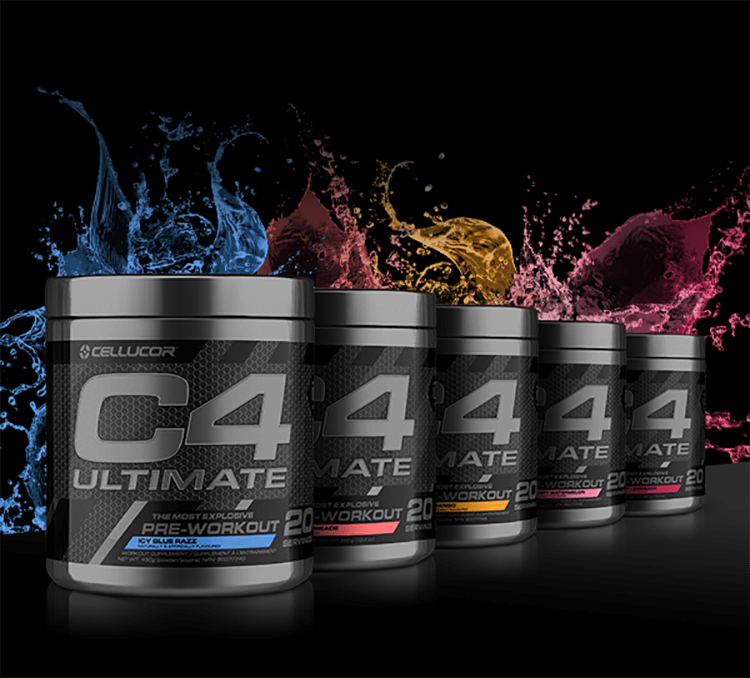 At the end of the day, C4 Ultimate is your product. If you don't like it for any reason, we'll gladly refund or replace it. We're here for you. C4 Ultimate is a call to action. It's a challenge. It's calling you to break records, beat your last workout, and set a new PR. The question is: Are you up to that challenge? Prove it. Try C4 Ultimate today. Your best workout is waiting. Now that's a good pre-workout buzz...... Liked the stuff. Has most of what I look for in a pre-workout. And all the energy. Got me hopped up for my workout. Recommend. Disclaimer: I havent had a pre workout in a very long time and received this as a sample from another product ordered. With that said, I found that this product greatly enhanced my workout and will consider purchasing, but at the price listed I'm tempted to look elsewhere hoping for similar results. Best preworkout drink I have ever used. I got this in a sample pack when I ordered a protein powder, the taste is good and the results were also great. I was very blessed to try this product thanks to a Cellucor promo The flavor is exactly what you'd expect it to be. It's sour but if you're into sour candy then you're going to love it. If you like sour patch kids candy, then this is your flavor to go with. I love how it tastes and it's something i look forward to. 10/10 Mixability is also perfect. There are no chunks, no residue whatsoever. Not much foaming either. It's a perfect pre-workout to mix. 10/10 Effectiveness: C4 Ultimate is a pretty strong pre-workout. It has 300 mg of caffeine in it. But it gave me a lot of energy during my entire workouts. The focus was extremely good, didn't get distracted but was only thinking about lifting heavy. 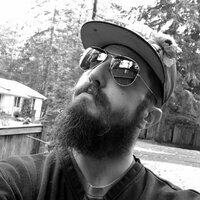 I felt strong and have made some PR's with this product. I definitely recommend it and 1 scoop is more than enough. 9.5/10 Supplement: C4 Ultimate has a lot of good ingredients. It has 300 mg caffeine, it has a lot of vitamins such as vitamin C and B12. It has a good mix of everything you need and it is a highly effective pre-workout. Can't go wrong with it. 10/10 Overall i loved C4 Ultimate, it's an amazing product. It's not the cheapest of all pre-workouts with $2 per scoop, however you definitely getting your money's worth and with a great flavor, mixability, effectiveness etc you can't go wrong with this one. 10/10 overall. Great supplement. This is my first choice pre WO when I want to get some heavy leg presses! Great taste, No stomach issues and VERY effective! Holy crap this PWO kicks my *** even after 2 months of using it 5x/week. 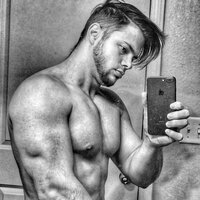 I've cycled through many PWOs (Nitraflex, EGN, Pre-Jym, MP Assault, Pre-Kaged, etc.) and only a select few compare to the pump from C4 Ultimate (Pre-Jym mostly). Pros: Will make you feel like you can lift a truck. Great flavor that I haven't gotten sick of yet. Mixes well with water. Lasts my entire workout (1-2 hours) and then more. Cons: On the more expensive side. Very noticeable paresthesia right after drinking. I received a single-use sample of the orange mango in my last order. First off, the orange mango tastes great, with none of that artificial taste that orange flavors sometimes have. BUT I didn't fall in love with this, because I experienced some of the worst stomach problems I've ever had with a pre-workout. This stuff made me SWEAT, and although that isn't a new sensation (I've taken plenty of thermogenics, so I'm used to sweating) it was that uncomfortable cold sweat as if you have a fever. Probably 15 minutes after taking this I started having stomach cramps, which I've never experienced with a pre workout before (I've used neurocore from muscletech, EVL Shred, etc.) I ignored them at first, but then a quarter of the way into my workout (sorry if this is TMI) I pretty much had to run to the bathroom I was so uncomfortable. I've never had a reaction like this with a pre-workout (I don't have a sensitive stomach), but I have taken fat burners that cause similar issues the first day but then after that were totally fine. So I still gave this a 7, since I only had a single-use sample and I can't give this a try a second day. I definitely felt the focus and energy, but if a pre-workout causes me to have to cut my workout short then it's a big fat NO from me. I would definitely stay away from this if you have a more sensitive digestive system. Doesn't have a nasty smell and mixes great in a 28 oz shaker bottle with cold water. I haven't had any issues with settling or clumping. As far as flavor goes icy blue razz tastes exactly like blue razz berry blow pops. It gives a mild tingly sensation while drinking it, but nothing overbearing. It also gives enough energy and pumps during workouts, but isn't so much that you're shaking and getting nervous and jittery. Honestly, the best thing about this pre-workout is the amount of concentration, focus, and motivation it gives me while in the gym. The only sort of downside to this pre-workout is it makes me sweat like crazy while in the gym, which really isn't bad, but noticeable. I have found the preworkout that I will continue to use; there is not a need to look any further. My gains have been great. I have increased my max since using it. 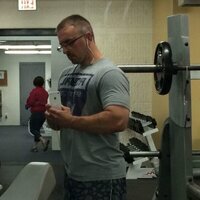 I feel that there is an abundance of pump during my workout. 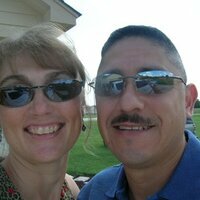 I have tried products that increases my energy a great deal but there was not much pump present. The taste is great as well. I’m trying to be very detailed because I want to convey my satisfaction with this product. 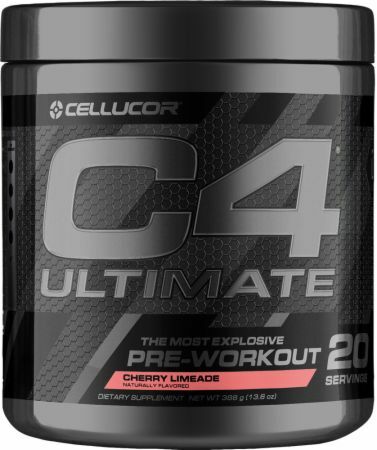 C4 Ultimate is an amazing preworkout, combining energy for days with good mixability and great flavors. I especially like the Sour Batch Bros as I love sour patch kids post workout and now get to enjoy the flavor before and after I lift. It is a source of good clean energy, not making me jittery or giving me an upset stomach like some of the other preworkouts out there. All in all I would definitely recommend this to others and will be ordering more when my supply runs out.